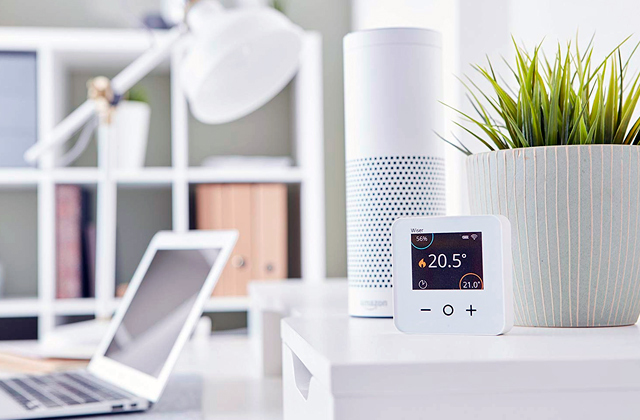 The built-in sensor activates the heater automatically even if the central heating is working poorly and the water pressure is weak. 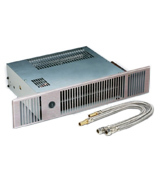 This allows you to get as much heat as possible out of very little resources. Lacks a cool air option. If your central heating system tends to have hiccups often, most hydronic heaters wouldn't be able to provide warmth efficiently. However, the KAC KHCH works well even in poor conditions and makes the most even out of weak water pressure. 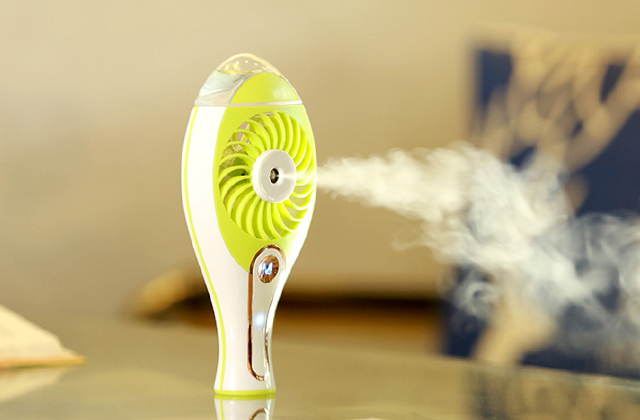 It's very powerful and will heat up your kitchen in a matter of minutes. You get 2 long hoses with the purchase, which simplifies the process of hooking the device up to the central heating system. Great for getting to angled pipes. No longer do you have to settle for a heating device that buzzes like a fridge or takes ages to install, the Myson 3KICK500 is all about convenience. While the grille is a bit flimsy, it looks good and, with proper care, will serve you for years. The heating element is constructed specifically to provide nigh-instant heating and maximise efficiency. The operation indicator is a bit too bright and might be annoying. 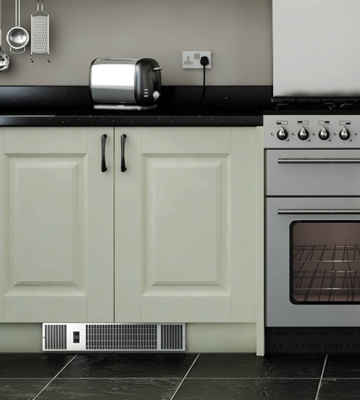 This is a pretty affordable and energy efficient plinth heater that's great for small kitchens. It starts heating almost instantly so you can only keep it running when you're in the room, saving money on your electricity bills. If you like to spend your money smartly, this is definitely a good choice. The front grille is made out of brushed stainless steel, resistant to rust, damage, and scratches. Your heater will look as good as new even after many years of use. You'll have to purchase the flexible connection pipes separately. 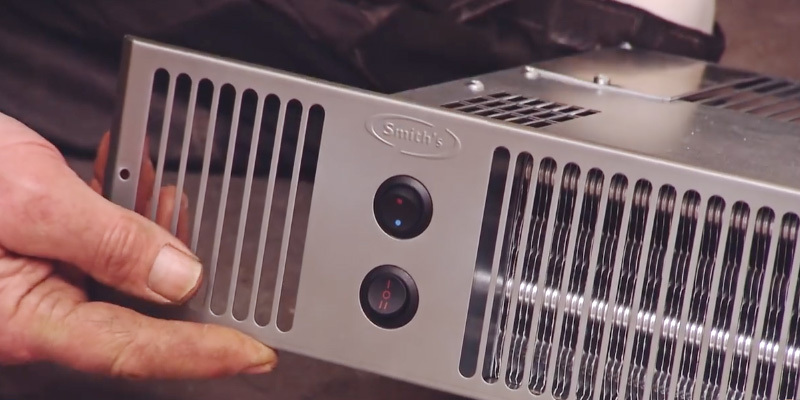 The Smiths heater can heat up a room of up to 25 square metres without making as much as a noticeable hum. Place it in your kitchen and you won't ever hear it over the sound of the refrigerator running. It's made of high-quality materials, doesn't use much energy, and is overall a good pick. 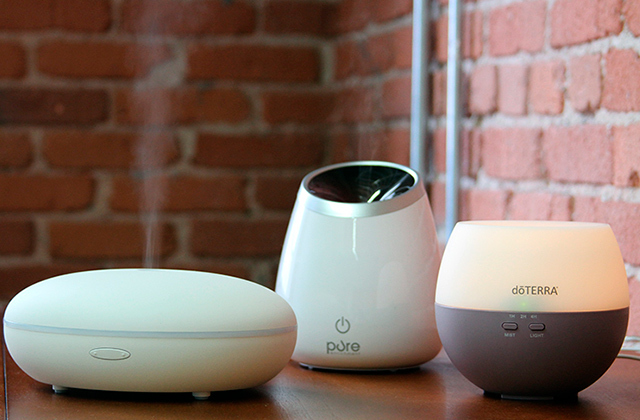 If you don't mind paying more for a good heater, this might be the choice for you. 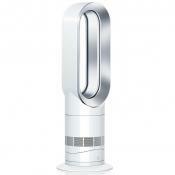 The built-in fan is rather quiet and the device won't bother you with noise even when it's set to the top heat mode. Installation takes a while and the device requires 4 screws instead of 2 so you'll have to drill more apertures. 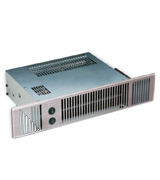 An affordable heater that will be useful the whole year-round, the CDA APH01SS has several modes to choose from. 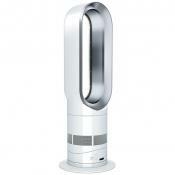 You can use the cool air function in the summer or the warm/heat options for autumn and winter. Plus, it's a pretty quiet model, running at below 70 dB. A good choice for those working on a budget. Many people have a good central heating system warming their homes but struggle to stay cosy in the kitchen where no radiator is available. However, there is a simple solution to this problem - the KAC KHCH hydronic central heating plinth heater. This model is designed to be an unnoticeable yet effective addition to your home’s original heating system. 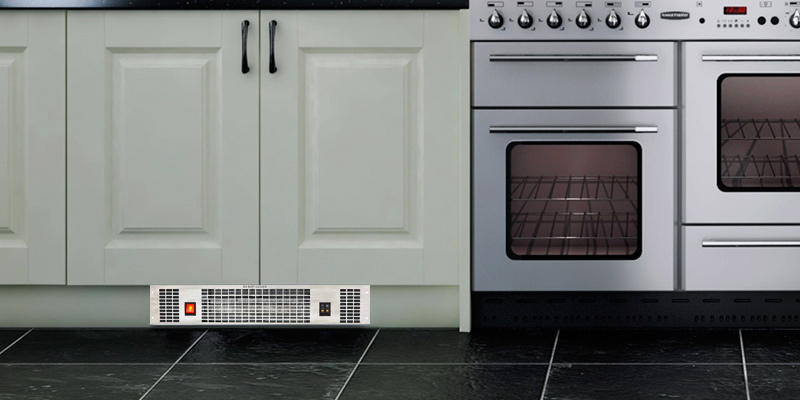 At just 49.8 x 10 x 31.8 cm, the KAC kick-heater will fit underneath kitchen cabinets and most IKEA furniture, the front grille covering the device. That way it blends in with the rest of the kitchen area and you’ll only know it’s there due to the waves of warm air it emanates. The KAC heater switches on when the central heating activates. 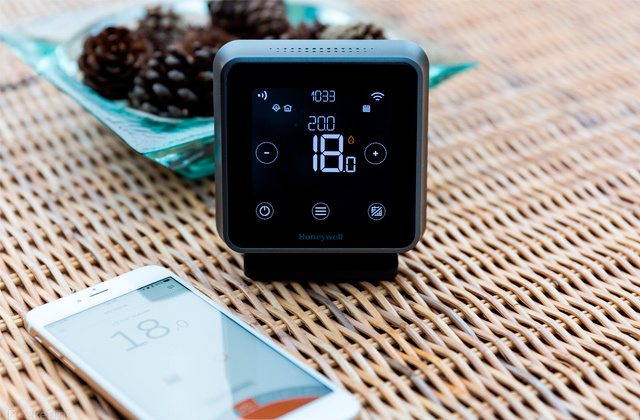 A built-in sensor determines how high the water pressure and the in-home temperature are and adjusts accordingly. 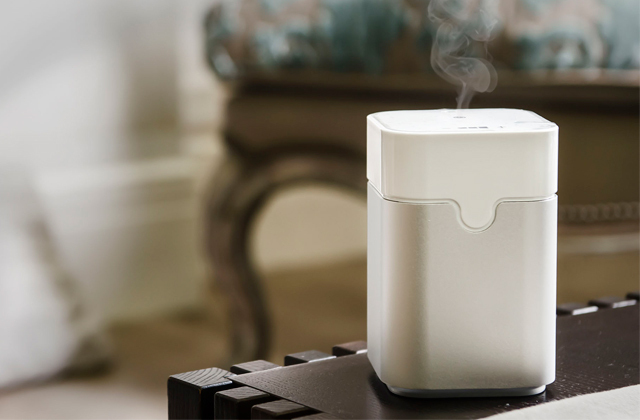 Even if your heating system is not too powerful, this little kick-heater will make the best of it without overloading. A thermal fuse protects the device from overheating and, if your central heating gets shut down, the KAC KHCH will turn off as well. 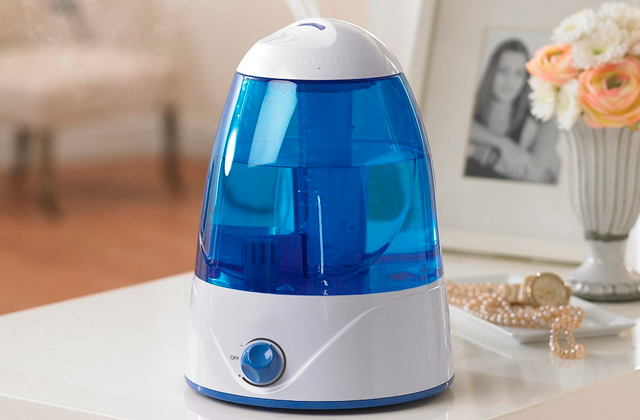 You might be disappointed by the lack of a cool air function as a device this efficient would make for a great mini-AC in the summer. But even without this setting, the KAC KHCH will be a treasure for all of autumn and winter, warming your kitchen without anyone even knowing it’s there. 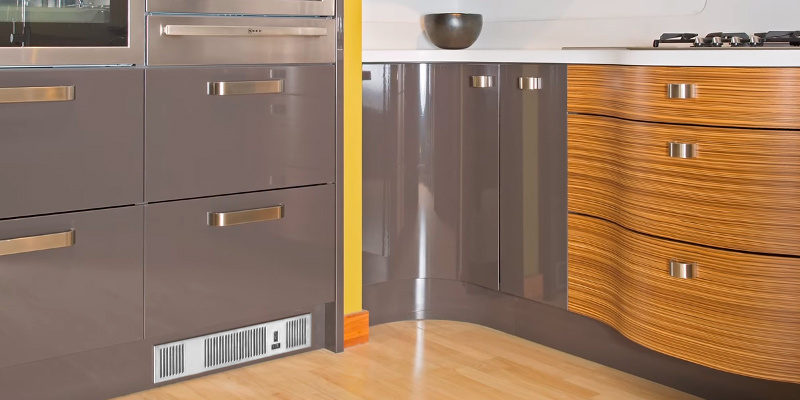 Want to keep your kitchen warm but have no room to put down a portable heater and most plinth models don’t seem to fit due to pipes running in the kickspace? Well, the Myson 3KICK500 may be just what you need! This model comes with 2 long hoses that connect it to the central heating system. While other devices of this kind require some jumping through hoops to hook them up properly in spite of all the pipes that are usually placed in the kitchen, the Myson 3KICK500 will be easy to install and get running. The hoses will be especially handy if the central piping is placed at an angle or in a tough-to-reach spot. While the Myson 3KICK500 is out of the way and unnoticeable if you still want it to look good try not to place it near spots where you usually stand when working in the kitchen. The metallic grille scratches easily and accidentally kicking it may cause deformations. Last but not least, we want to mention that this is one of the quieter plinth heaters out there, which means you won’t notice it even if you’re standing right by the vent. That’s exactly what we look for in this kind of device, coupled with efficiency. To sum up, if you need a heater that’s flexible when it comes to the installation and doesn’t hum loud enough to scare your pets or bother you, we recommend the Myson 3KICK500 wholeheartedly. Let’s be honest, finding a heater that cuts the mustard isn’t really tough. Most models can easily meet the bare requirements but it takes a special one to be both effective and energy efficient. We’re talking, of course, about the A365 UPH201SS. This model might run a regular 230 V and take its power from an electric source but it builds on that simple foundation to surpass others. The heating element here is spread out so it warms up a pretty big area quite fast, emanating heat in just a few seconds after being turned on. This means you can keep the A365 UPH201SS off while you’re not at home or even out of the room. Only turn it on when you need to stay in the premises for a while, thereby both staying warm and cutting down on your electricity bill. Now, the design here isn’t all that it’s cracked up to be with the indicator a bit too bright and, thus, annoying. Plus, the front grille is a bit weak compared to some others and won’t withstand too many bumps, which are inevitable, especially if you have pets. If you need to keep an average-sized kitchen warm on a dime, the A365 UPH201SS is a wonderful option. It’s efficient, quiet, and has a reasonable price. While it’s not the sturdiest, we’d hope that you’re not buying the heater to stress-test it anyway. Sometimes true quality requires paying just a bit more, especially when it comes to basic household appliances. Trying to save money on a heater can backfire because the added cost comes from additional safety features, more efficient heating, and an appealing design. And that’s precisely why we recommend you to consider the Smiths SS3/5. You not only get 5 years of warranty and customer support, the device itself features overheat protection via a thermal fuse, which cuts off power when the temperature gets too high. Plus, the front grille isn’t made out of cheap plastic like on basic models, it’s crafted out of brushed stainless steel, which won’t get scratched or deformed from the heat. The Smiths SS3/5 may be a bit pricey, especially considering that you have to purchase the flexible connection pipes separately, but it makes up for it with a very low energy consumption of around 16-21 W. Pay a bit more once for the heater and save for years on your electricity bills! All in all, we feel that the Smiths SS3/5 is one of the top-tier options available if you don’t mind paying a substantial sum for high quality. It’s quiet at just under 40 dB, works efficiently without wasting energy, and won’t get in your way as you cook dinner in the kitchen. So consider laying down a few more pounds for this heater just so you can feel secure in your purchase. Tired of appliances giving out on you and the lack of a sufficiently long warranty leaving you stranded? We feel the same and that's precisely why we can recommend the CDA APH01SS, an electric plinth heater. It has a 5-year warranty that will protect you from any unforeseen circumstances and provide you with replacement parts should something in the heater get worn out. This model operates below 70 dB, not completely silent but much quieter than many other models. You can hold a conversation while standing right next to the heater and you’ll neither see it nor hear it. 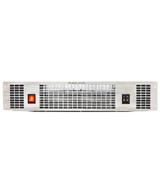 With that said, you will, however, most definitely feel the flow of warmth coming out of the front grille as this device puts out 2 KW of energy, a good choice for spacious apartments. Of course, that may raise your electricity bill somewhat but we’d say the heat is worth it. 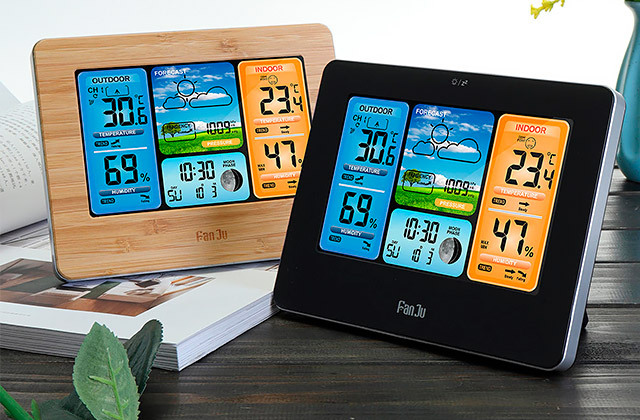 Besides, you can choose between “warm” and “hot” settings to decide how much energy will be used and how high the temperature will get. By the way, the CDA APH01SS also offers a cool air option, which will certainly come in handy in the sweltering months of summer. The two things that we’re not too keen on are the lack of a remote control that would remove the need to bend down to regulate the heat output, and the lengthy installation process during which you’ll have to either wire the heater directly or connect it to a plug, which you’d have to buy separately. Other than that, though, the CDA APH01SS is a smart, affordable choice. With overheat protection and a 5-year warranty, a shrewd buyer will find it tough to pass this one up. What Is a Toe Kick Heater? 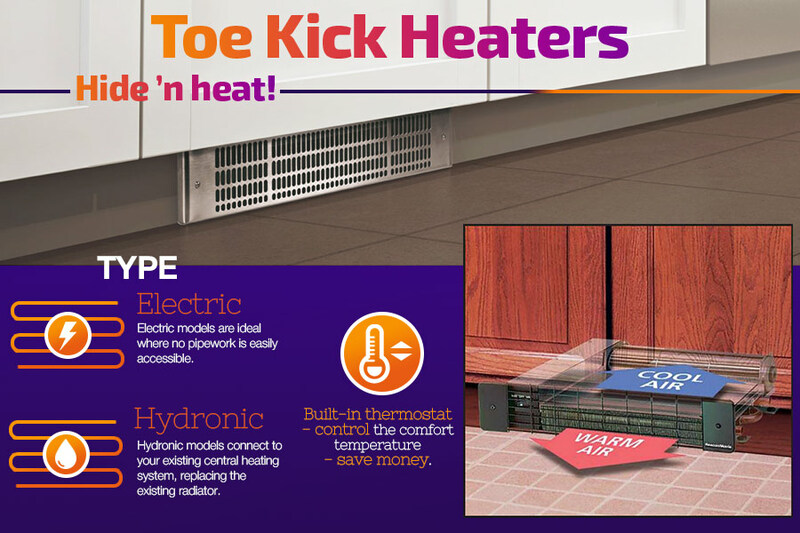 Toe kick heaters, also known as kickspace or toe space heaters, are a popular type of domestic heating systems. They are installed close to the floor, thus taking nearly no space, and that is their main advantage. Being an excellent alternative to baseboard units, they are less expensive to maintain and easier to install. 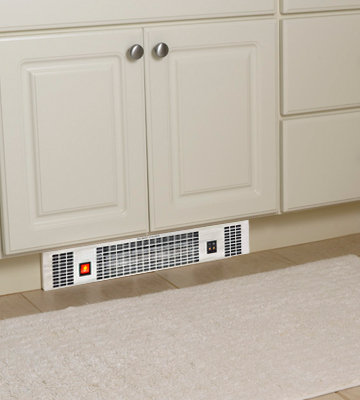 Baseboards are bulky, so kick space heaters fit in where baseboards don't. 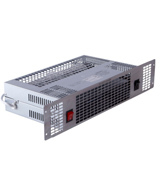 There are various types of toe space heaters and the purpose of this review is to help you choose the heater suitable personally for you. A heated house is good but a heated house with a fireplace is way better, isn't it? 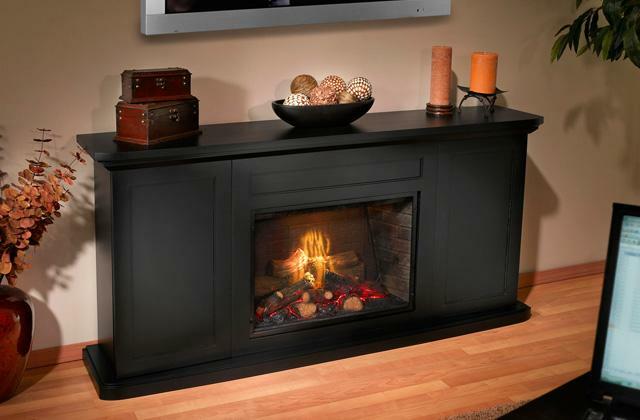 Check out our best electric fireplaces review! Kick space heaters have one problem: they are installed into the walls, ladders, and toe spaces, so they are not portable at all. If you are looking for a portable appliance, pay attention to our best gas heaters shortlist! You will obviously need the tools to install your kickspace heater, so here's the review of cordless drills that will help you choose the one you need. 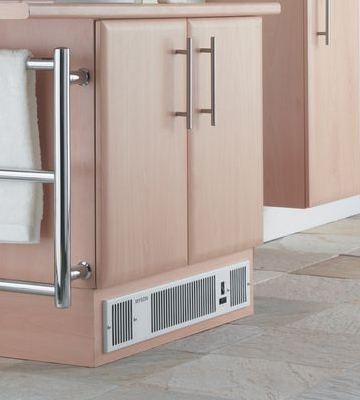 First of all, you have to decide whether you need a hydronic kickspace heater or an electric one. Both of them have pros and cons but the choice usually depends on a customer's situation at home. If you have a water boiler, you will surely prefer using hydronic heaters because they are cheaper. 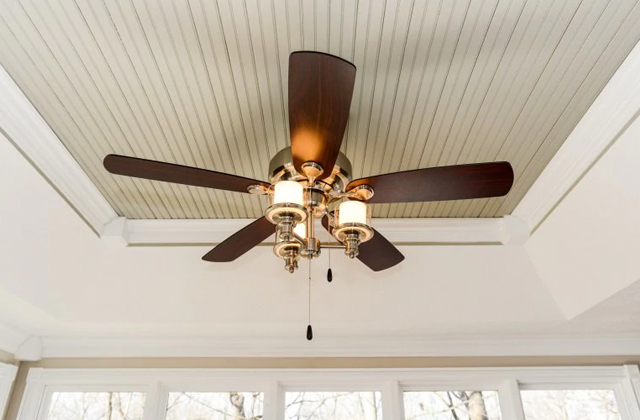 Actually, they also require electricity to power the fan, so they can be called electric hydronic heaters. If the room where you are going to install this heater is quite far from the boiler and you don't want to draw pipes to it, it may be better to use an electric heater. Moreover, keep in mind that hydronic heaters require some time before they start warming the room, while the electric ones will leave you in the cold if the power outage happens. The second issue to consider is the area of the room where you plan to install the toe-kick heater. Various appliances have a different heating capacity and the heating efficiency will totally depend on how powerful the chosen heater is. Of course, you don't expect much from an ordinary heater, but there are several useful extra functions that make heaters unique. 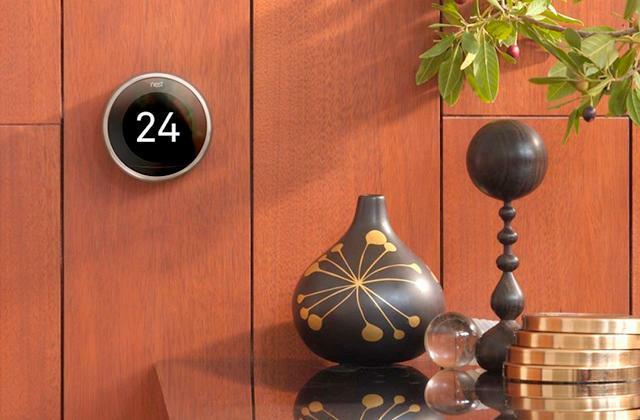 A built-in thermostat is one of them. This superb feature will allow you to set the desired heat level and the heater will maintain it. Many heaters have safety systems which prevent fire accidents; it's particularly important for electric appliances. Remember, the size of a kick space heater matters. It affects not only the place where you will be able to use a heater but also its technical specs. The larger the heater is, the more heat capacity it usually has. Make sure to have enough kick space for the heater of the required capacity. Q: What’s the difference between an electric and a hot water coil toe-kick heater? A: An electric toe-kick heater, as its very name indicates, is powered from the electrical circuit. 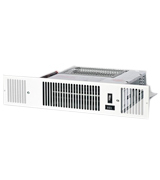 It’s a complete unit usually installed under a cabinet and plugged into a power outlet. Such heating appliances can be connected to the main heating system in a house or work independently. 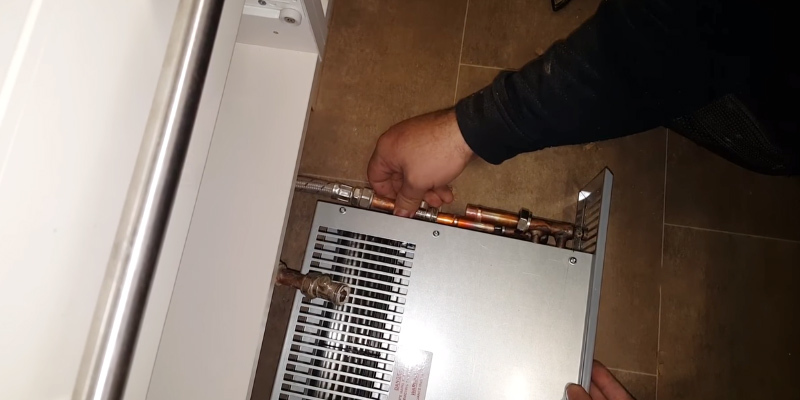 A hot water coil toe-kick heater (also called hydronic), in its turn, is plumbed in with a boiler system in a house. Thus, hot water circulates the coil and warms it up. 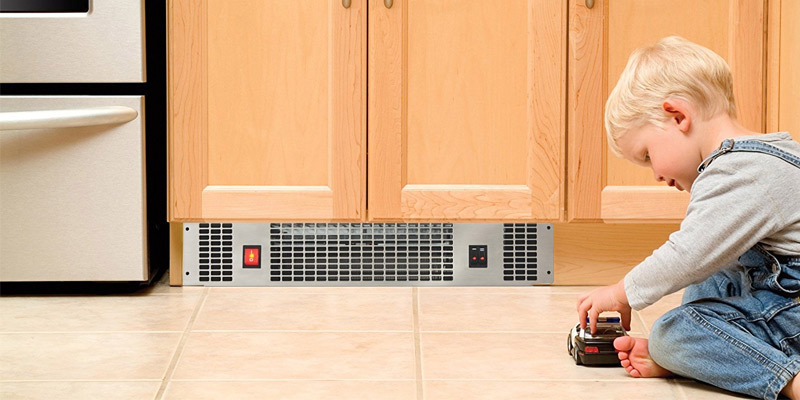 Yet, even a hydronic toe-kick heater needs to be connected to the electrical circuit for powering the fan. 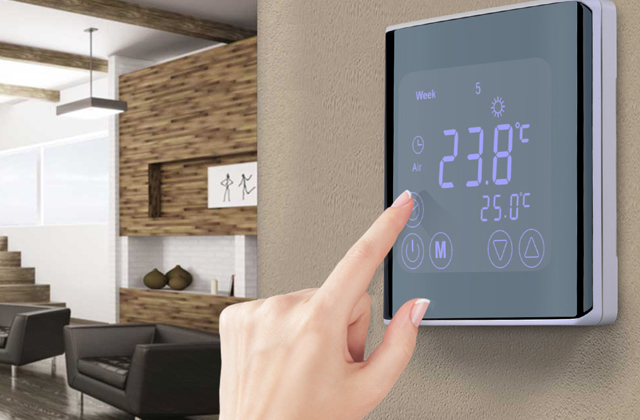 Both types of appliances have a temperature sensing relay for fan control. Q: My toe-kick heater doesn’t turn on. What should I do? A: First of all, check whether your appliance is connected to the electricity grid and powered. 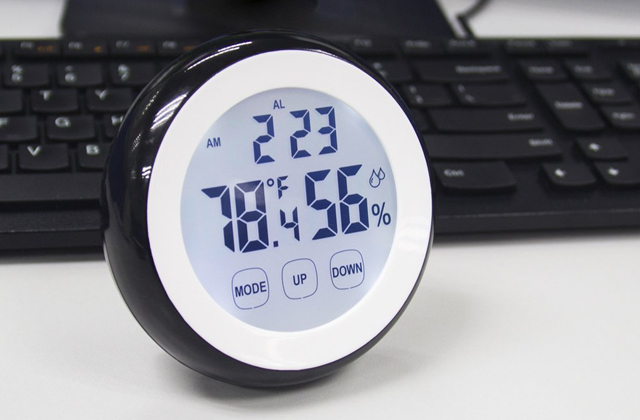 If everything is OK, check the thermostat setting and switch it to a higher temperature. Next, if your heater has a manual reset button, push it and turn the appliance on once again. Finally, if your toe-kick heater isn’t new, check if the fan it clogged with dust or some debris. 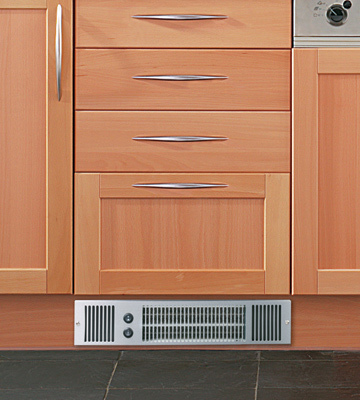 Q: Can I install an electric toe-kick heating appliance near a dishwasher? A: All safety precautions and requirements are mentioned in the manual to any heating appliance. As usual, it isn’t recommended to install an electric toe-kick heater near a dishwasher (a sink, etc.). Also, you should avoid installing this heating appliance on a carpeted surface as the unit will get clogged too fast, which might be dangerous. Q: What if my toe-kick heater makes too much noise? A: If your appliance is too noisy, it might be mounted improperly. Check all the fasteners and make sure they are tightly fixed. Also, check whether it’s clogged inside; in this case, the noise may come from the fan. Q: Is it possible to use the fan only without turning the heat on? A: No, any toe-kick heater is designed to provide heat, so it’s impossible to turn just the fan. Q: What if my kickspace heater is too hot? A: It might happen if the airflow inside the appliance is blocked by dust, debris, etc. Remove the front panel and check whether the inner part of your heater is clog-free. Next, the overheating might be caused by the wrong voltage. Use a multimeter to check the voltage your kickstand heater receives and consult the manual to find out what voltage is recommended by the manufacturer. Q: Which type of toe-kick heaters is more efficient? A: Hydronic kickspace heaters are more efficient as water has a higher thermal conductivity than metal. 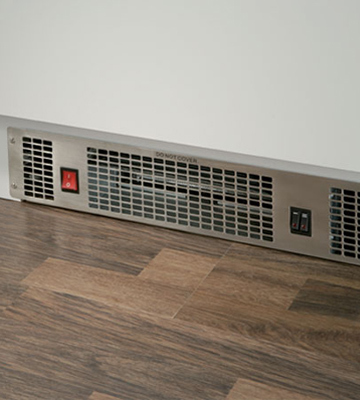 However, hydronic kickspace heaters are more difficult to install than their electric counterparts. 1. How to Repair Toe Kick Heater Problems, DoItYourself.com. 2. Bob Formisano Types of Electric Heaters for the Home, About. February 28, 2016. 3. Troubleshooting Toe Kick Heater Problems, DoItYourself.com. 4. Electric vs Hydronic Toe Kick Heater, DoItYourself.com. 5. 7 Ways to Warm Up a Cold Room, The Family Handyman. 6. Staying warm with electric heat, Yellow Pages. 7. Electric Heating, Wikipedia. November 15, 2016‎.